The 1500 metre long Malia Strip is situated right in the heart of Malia and has everything you need for the ultimate party holiday! 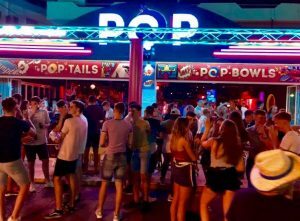 With a supermarket at one end, white sandy beaches at the other and a number of restaurants, bars, shops and clubs in between catering to a wide range of tastes, the Malia Strip has both brilliant nightlife and great daytime activities too! During the day, grab some new clothes from the shops and markets, or book an excursion to see the dolphins in the Mediterranean Sea, and then watch as evening rolls in and The Strip transforms – ready for the Party Harders! 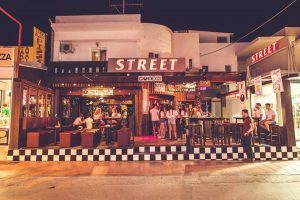 Located on the middle of the Malia Strip, Street Bar is the perfect way to start the night on your Greek party holiday. Renowned for their cocktails and friendly atmosphere, this bar has everything from good vibes to a beer pong table at the back for the competitive spirit! 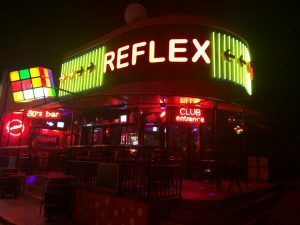 The perfect Malia bar for 80s and 90s music lovers, Reflex gives its customers a blast from the past with its throwback tunes and retro vibes. Grab a cocktail and hit the dancefloor to boogie the night away to some classic beats on your Malia party break! This open plan Malia bar is a great place to let your hair down and get your groove on before a night out. With decent priced drinks and a welcoming atmosphere, you’ll find yourself dancing to all the pop classics. This two-storey haven is situated right at the top of the Malia Strip. With a creative cocktail menu and a fun, chilled and friendly environment, Havana is just the right Malia bar to start off your night. 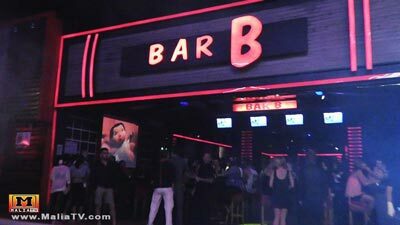 Located right by Malia’s main clubs, Bar B is the place to stop off for one more drink before hitting the clubs, specifically Candy. Bar B offers great music, great drink prices and an even greater atmosphere! This quirky outdoor lounge is next door to one of Malia’s main clubs; Zig Zag. Head in for drinks and dancing on tables before the bright lights of Zig Zag beckon! If you’re looking for good food at an even better price, look no further than the George & Dragon pub. Situated on the Malia Strip, this pub offers classic British meals that will cure your homesickness (and hangovers), as well as more traditional Greek dishes! You can’t go to Greece and not sample some traditional Greek food! 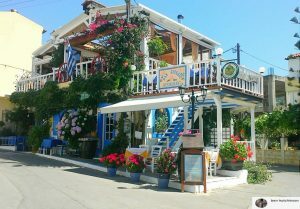 Many of Malia’s Greek restaurants are located 5 minute’s walk away in Malia’s Old Town. San Giorgio is a family run restaurant that serves its customers with a warm smile and quality food. 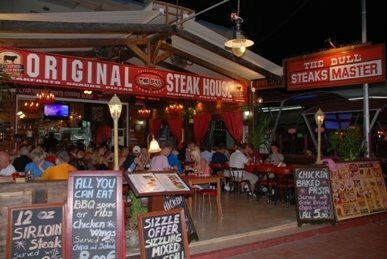 If you’re looking for a steak and grill house in Malia then look no further! 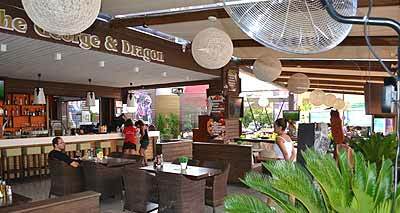 Located right in the middle of the Malia Strip, this restaurant is ideal for enjoying a meal before heading back to your hotel to get ready for the night ahead. With a large selection of food and generous portions, you know you’re getting your money’s worth here! The Red Lion is your home from home when it comes to good pub grub in Malia. For steak and ale pie, Sunday roasts and fish and chips, it’s got to be the Red Lion! While most of your days and nights will be covered by us for the biggest events, you’ll still have a couple hours of sun in the week of free time to explore the island! Head on down to Malia’s gorgeous beach to check out the range of watersports and beach activities on offer! There are also loads of beachside bars and restaurants to discover too, so they’ve got everything covered for daytime on your Crete party holiday! If you’re on a budget, one of the very best daytime activities in Malia is relaxing by your hotel’s pool! Have some chill time, catch up with your friends, and stretch out on that sun lounger! This is what daytime in Malia is all about! Whatever music you’re into, Malia delivers! In the bars you get a mix of old and new pop music, ranging from the Top 40s to cheesy 90s and 00s tunes. In the special event nights at the main clubs, you have certain types of music for each event. For Apollo it’s mostly R&B genres, like hip hop and grime. In Zig Zag you have the house and techno tunes every night, whilst Warehouse is all about the D&B and bassment sounds! 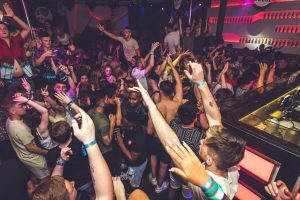 Candy Club on Wednesdays is where you find the live acts like Yungen, Not3s, Ramz, and many more!